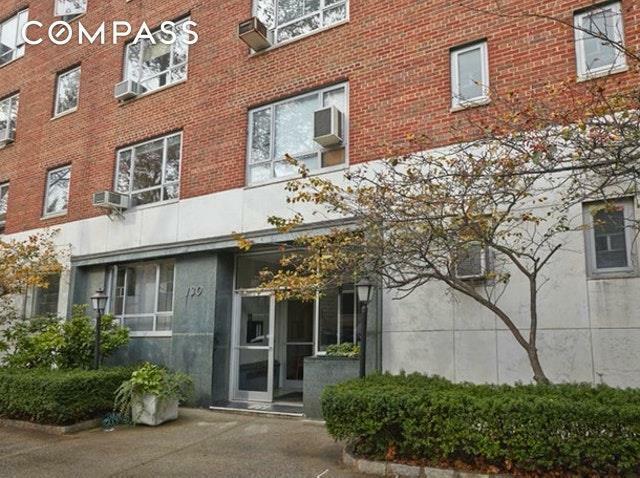 Sandwiched between the bistros of 7th Avenue and the splendors of Prospect Park do not miss this Prime Center Slope Studio. Immediately sense the flawlessly preserved refinement of this doorman building as it hearkens back to the Post-War era. Peer out to a pleasant view of historic Carroll Street. 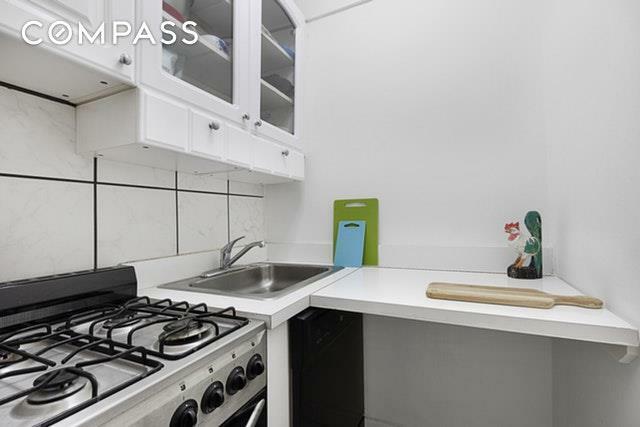 You'll note that both the kitchen and bath have been recently updated. While most modest spaces may be prone to clutter, here ample custom built-ins provide the perfect answer. 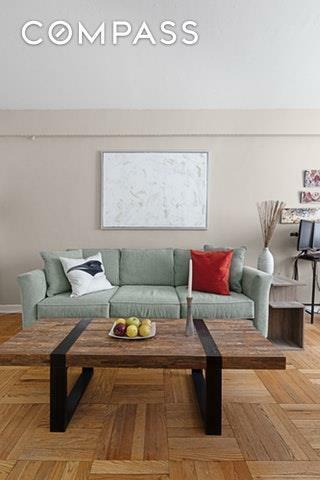 Live in comfort, convenience and understated style.In addition to the doorman, the building provides a live-in super, laundry and bicycle storage. Pets are welcome. Just a few blocks from the B, D, 2 and 3 trains. 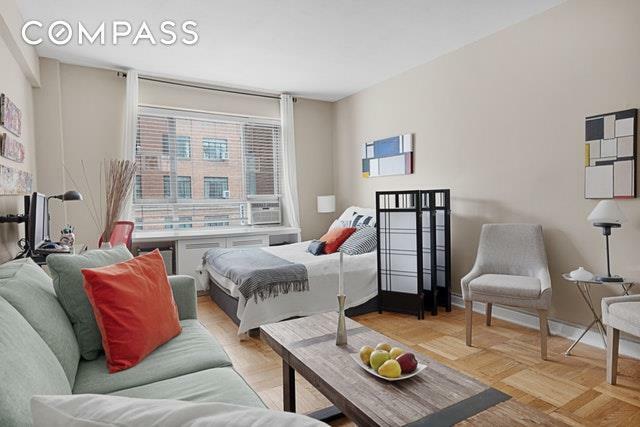 Ideal for your initial Park Slope home purchase or move right in to your perfect pied-a-terre.